Home » Beauty Care » How To Get Rid Of Blackheads On Forehead? 1. How to get rid of blackheads on forehead? Blackheads are nothing new to us, and when they’re exposed in the air, they will become darker in color. It’s one of the most common skin issues that happen to anyone and affect us with any skin type. But as long as you follow a great skin care regimen, it’s easy to prevent them from coming back and causing damage to your skin again. So how to get rid of blackheads on forehead? Well, there are several contradictions about how to treat them at home without seeing a doctor. However, a few of them could make them worse than before, so today we’d like to show you better treatments so that you can give them a try to see how effective they are for real! Have you ever got little black bumps or spots on the forehead before? They would grow once the hair follicles start getting clogged by the release of too much sebum. Each follicle has one hair and one sebaceous gland that can produce sebum. This “oil” will maintain our skin as soft as possible. Besides, both dead skin cells and sebum right in the opening to your follicle easily cause the comedo. As the skin over that bump keeps being closed, then your bump is said to be the Whitehead. But once that skin is open and exposed to the air, then it could form a blackhead. So HOW TO GET RID OF BLACKHEADS? And if we don’t do anything, DO BLACKHEADS GO AWAY ON THEIR OWN? Of course not, they won’t disappear by themselves – they merely develop and often at the very first stage of your bump. Stop worrying much about these black bumps since we will suggest you the best treatments that are particularly helpful for removing blackheads soon. Before considering which one is the BEST BLACKHEAD REMOVER to get your glowing skin back, let’s find out more about the over-the-counter medications. A large number of bump medicines can be found at all drug and grocery shops without needing a prescription. Most of them are sold in different textures, from cream, gel, to pad, and you can put them straight on your skin. How to get rid of blackheads on forehead? 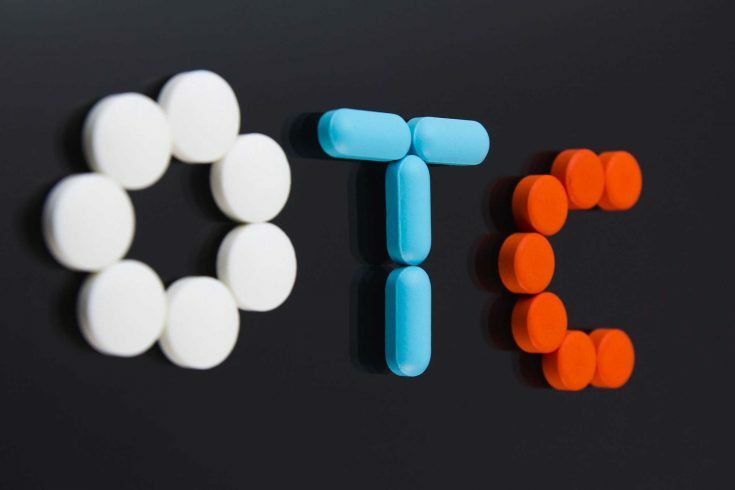 When using these pills, you should know that they consist of some striking ingredients, such as Benzoyl Peroxide, resorcinol, and salicylic acid. 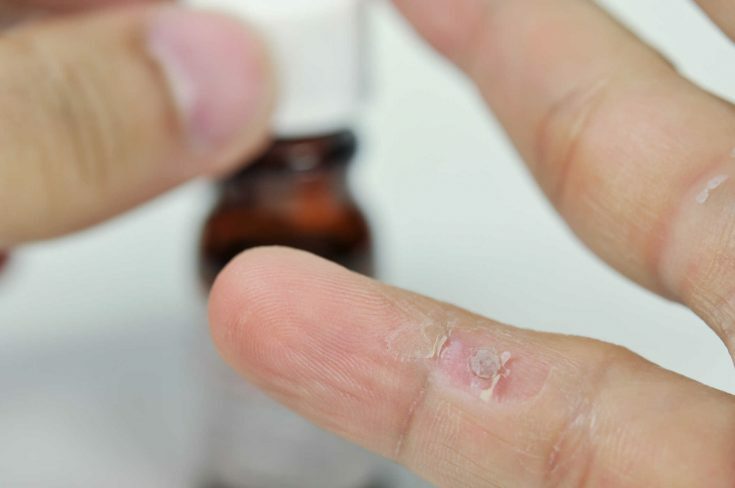 These drugs tend to come into effect when damaging bacteria, drying out the oil overproduction and making the forehead skin to tear all dead skin cells apart! But among these methods, salicylic acid works the best! There’s no worry about HOW TO GET RID OF BLACKHEADS ON CHEEKS or how to treat them on your foreheads anymore! We’ve got the best method for you – it’s Salicylic Acid. This has been proven scientifically to unclog your deep pores after increasing your skin cell turnover. For the optimal technique to apply, it is about layering the gel on your affected skin region about once or twice per day . Take a hot or warm shower to let the steam make all pores open. Experience the effect of the steam for no more than 10 minutes at one time, and no more than twice per week. It’s because overdoing it can finally dry your forehead skin out. During the time you relax in the steam, ensure to scrub your forehead skin with salicylic acid gently so that your dead skin cells can be exfoliated and removed fast. Doing so helps to make your blackheads disappear effectively. If you want to learn HOW TO GET DEAD SKIN OFF YOUR FACE or your forehead, then here you go! Note: If you want to know how to get rid of blackheads on forehead, make sure to apply the Salicylic Acid gel regularly. It will work more effectively when the pores start to open up wide. Note that this way can vary from the lightest to the heaviest regarding the irritation level. The treatment can have a chance to penetrate into your skin cells deeper. Watch out; this might sting a bit and dries out your skin, too, so you need to moisturize your forehead skin right after this. Start washing your forehead skin area with cold water. Doing this will help shut your skin back up, or close all pores gently. If you want to get rid of them naturally, then avoid any alcohol-contained cleansers or chemical-based products. Importantly, the best way to avoid those bumps from returning is to keep your skin from the excess oil buildup, meaning that you can’t use oil-based face products. But WHAT IS GOOD FOR OILY SKIN? Well, you can utilize the face wash “Neutrogena’s Oil-Free wash” which is perfect for those who are as lazy as us. There’s no need to keep asking yourself “HOW LONG DO BLACKHEADS LAST?” over and over time. It’s because you can diminish them all right away as long as you’re patient with this skin-care regime. Now you’ve known how to get rid of blackheads on forehead, right? This method is quite efficient as it comes to curing and preventing new blackheads. Apply the treatment as above or choose others that suit you, like Clean and Clear Advantage Acne Spot treatment that is available in all drug stores nowadays. Keep in mind that the longer it stays on the forehead, the more time it can work the best magic. But do not ever overdo it, and try to keep 2% of the Salicylic Acid only based on the sensitiveness of your skin. In other words, whenever your forehead skin area tends to get drier, tighter, or even feel more irritated, decrease the amount of gel in the skin regime or your application frequency. According to the skin experts, our skin is more likely to be irritated with Salicylic Acid. Therefore, take time for things to work perfectly, like giving the substance a few days and even one week to bring out its full benefit. If you want to learn more about Salicylic Acid, here’s a VIDEO about it and how it treats your acne & blackheads. How to get rid of blackheads on forehead after using the Salicylic-Acid-based product? This is the right time to rely on the HOMEMADE FACE MASK FOR PORE AND BLACKHEADS. They would be baking soda, green tea, or coffee ground depending on your preference. Another good choice we recommend you to use here is the clay mask. Just apply a clay mask to the affected skin area (forehead, lips, ears, noses, etc.) Try to do it about once per week right after taking a hot shower and while the pores remain opening up. Then move on to this step, especially when clay mask is great for penetrating the sebum leftover in the pores as well as shrinking your black spots. These masks can feel a bit drying at first, but don’t worry since you can moisturize your skin afterward. In case that these blackheads keep sticking to your forehead or nose, feel free to use the pore strips to deal with them remarkably. They will immediately remove those bumps out of the skin pores, but be careful! They just can’t help prevent them from coming back. Once the strips are pulled off, you can see all the blackheads pulled out vigorously in the mirror. Apparently, the solution finds no trouble in getting rid of your bumps, but it’s often drying and becoming harsher on the skin. For this reason, restrict the use of it to once per week. Never use the strips if you’re suffering any sunburn or having the overly sensitive complexion. 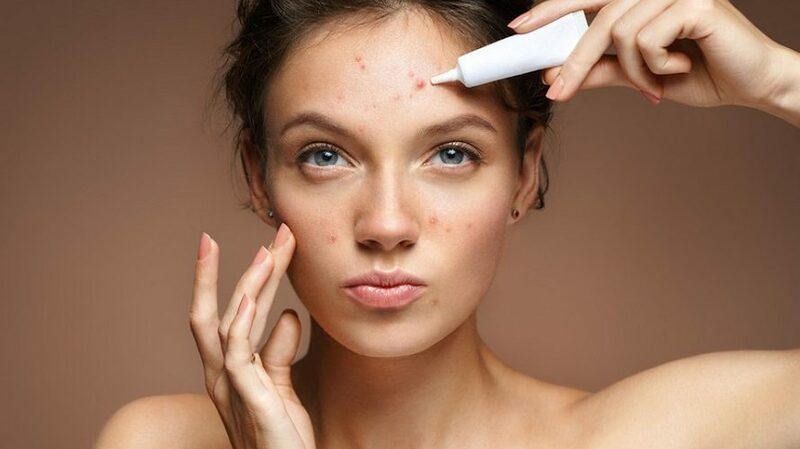 If OTC solutions do not work well to improve your acne condition, then How to get rid of your blackheads on forehead permanently? In this case, your doctor probably suggests you rely on the more intense blackheads-removal prescription. These medicines should have Vitamin A, which is stated to work well in keeping the plugs from building up in your hair follicles. Better than this, it’s capable of increasing more quick turnover of your skin cells. Ensure to apply these medications straight to the forehead skin: Benzoyl Peroxide, Glycolic Acid, or both, Tretinoin, Tazarotene, or Adapalene. Remember that if you’ve got pimples apart from blackheads, these common types of medications could be beneficial . It’s fine to mix and match Benzoyl Peroxide and Glycolic Acid together. For example, you can choose to rinse your forehead skin with a foaming Benzoyl Peroxide cleanser to leave some of them on the skin. Next, let’s apply the Glycolic-Acid based lotion. It’s considered the best way on how to get rid of your blackheads on forehead as compared to others. But use the treatment cream only once a day, and you can alternate with the lotion to make them work great together. What if you’re sensitive with Benzoyl Peroxide? But what if you have trouble with the use of Benzoyl Peroxide? We suggest you stick with the Glycolic Acid. It’s not only ideal for oily skin but also not over drying your skin, making it best for teenagers as well. For the most optimal results, feel free to use both Salicylic Acid and Glycolic Acid treatments pads. This method is good at giving some Salicylic Acid to your complexion by letting them penetrate deeper into the oily pores. Doing so will help remove blackheads on forehead without trying too hard. Let’s utilize the pads right after washing your affected skin with the gentle cleanser and right before using your scrubbing lotion. “WILL BLACKHEADS GO AWAY WITHOUT SQUEEZING?” is the most common question made by so many people out there. However, it has never been the safe method to remove your blackheads on forehead at all. The oil on the skin area can be too stuck, so if you keep popping them, they will become red and more irritated. According to Dermatologists and highly-trained skin experts, using a particular instrument like a loop extractor is a common way to get rid of the plug. Right after a little opening is built in your plug, the specialist puts pressure on that tool to remove the clog. If you consider how to get rid of blackheads on forehead manually, then here’s our advice for such extractions to maintain your pores as clean as possible. It’ll help you without damaging the skin on the forehead . It’s best to get rid of blackheads at once just after taking a hot shower because your skin temperature has been increased. Doing so can help smoothen the oil within your pores, making it much easier for extracting the blackheads. After the shower, go to apply a thin layer of your dense moisturizer you’ve got to the forehead skin area you want to treat. If using a rick-textured moisturizer, it’s said to make a good seal to maintain the heat within the skin, which is the most necessary thing for your later extractions. Then how to get rid of blackheads on forehead after hydrating your pores? Cover that skin region with a cellophane wrap before applying the initial moist washcloth. Secondly, apply the cloth all over the face. The top layer will be in charge of supporting the one under to keep the heat longer. Later on, remove the wrap and retain your skin on forehead moist by using a little bit of moisturizer. It can wipe off on your washcloth. How to get rid of blackheads on forehead using the extractor tool? Use hands to hold the extractor tool and put the tips on two sides of the blackheads you like to extract. Keep the tool’s body perpendicular to the area and avail the curved ends to press on either side of the bumps until each of them starts to be pulled off. Merely apply slowly and put gentle pressure at this stage. Once you’ve done it successfully, pinch the tool to release the dark spots out from your forehead skin. But when you see that the blackheads are hard to release, stop trying hard to extract them. Once it gets done, don’t miss wiping off the affected skin with a toner, which contains no alcohol at all. Next, it’s possible to apply another antibacterial mask if you want to decrease the redness of the skin. Here you go! For anyone who hesitates to wonder how to get rid of blackheads on forehead, let’s try this safe and awesome way to diminish the clogged pores. However, these black spots tend to show up again over time, so it’s essential to get your facials regularly so that your pores are cleansed manually. So in this case, our top recommendation is trying to see a skin expert for the safest manual extractions. Let’s try washing your forehead skin or the whole face because doing this will contribute a lot to removing the oily excess, sweat, or dead skin cells formation. These are the main factors that will cause your blackheads. Utilize the gentle-formula cleanser for not irritating your skin. Also, it’s an excellent idea for us to wash the face soon after working out and sweating. But do not over clean it since it might trigger skin irritation. Using just oil-free beauty and health products, from your makeup, lotions to sunscreens. It can restrict any further chance of building up more blackheads in the future. Note that oil-free items are often separated into two groups. The first one consists of the oil-free ingredients so that they can dry out the skin. However, there are still a lot of surprising exceptions for your consideration on how to get rid of blackheads on forehead: Glycerin and Glycol. These are not oils at all, and not drying out your skin. For those who have acne or blackheads that are resistant to the solution, it’s highly useful to learn what kinds of products are oil-free to increase the effect of the therapy. Choose the products containing gels or emulsion of sebum-free substances. These could be the fatty acids, sterols, alcohol, or Silicones. Besides, it’s alright to select the group of oil-like emollients that are seen to be oiled but more oil-like in the way they would treat your skin. These tend to moisturize your forehead skin a little bit, so use them only for people who have the slightly oily complexion that wants extra hydration. Lower the intake of dairy products in your daily diets. They often contain some certain hormones that can activate your oil gland, which leads to the oil overproduction. Do you know the most straightforward way on how to get rid of blackheads on forehead? It’s all about taking the regular shower. Doing so daily will prevent the sebum, bacteria, and germs from accumulating inside the pores. Limit the intake of processed foods and sweetened drinks that could stimulate the rise in your insulin degree. This can cause the acne easily. Scrub your dead skin layer gently on the forehead to decrease the appearance of new blackheads. Have enough time to work out since this is one of the best therapies for several skin issues. Blackheads won’t always build up together with other harsh symptoms, but they’re probably affected by other elements to get more severe. Therefore, we believe that our post today on how to get rid of blackheads on forehead will undoubtedly help you handle this common skin issue. However, if any of these remedies can’t bear any good fruit, then hurry to seek medical assistance from your dermatologist.